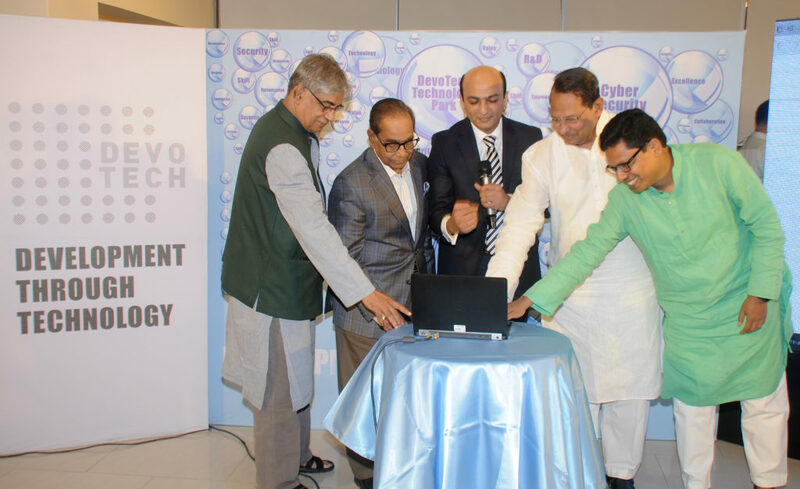 DevoTech, a Bangladeshi technology enabler platform, was launched in the capital’s Gulshan yesterday to offer research and development for the IT industry, a startup studio for digital entrepreneurship and business process outsourcing services. Raihan Shamsi, chairman & CEO, said he envisioned a “Made In Bangladesh” identity in the technology domain, for the fourth industrial revolution offered the opportunity of utilising talents and expediting socio-economic prosperity. Demonstrating two products – “Daktarbhai” and “Imagine Radio”, he called for synergy among initiatives of the government, businesses and technology professionals to create a technology ecosystem. Addressing the event, Hasanul Haq Inu, information minister, said it took nine years for people to believe that a “Digital Bangladesh” was possible. HT Imam, political adviser to the prime minister, Mustafa Jabbar, posts, telecommunications and information technology minister, Zunaid Ahmed Palak, state minister for information, communication and technology, industry leaders, diplomats and civil society representatives were present.